Join us to hear how Emily Carter is working with other women in her community at Fitzroy Crossing. Emily Carter is a Gooniyandi Kija woman from the central Kimberley region. 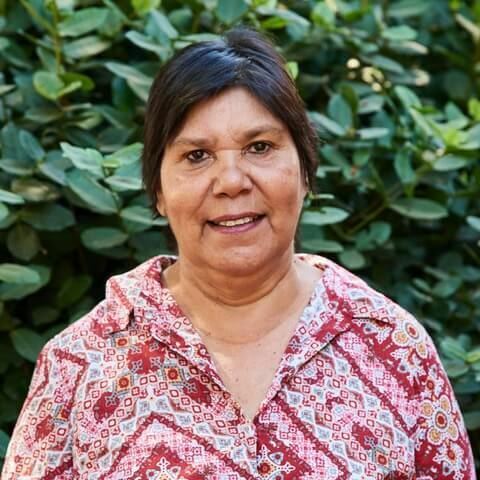 She is the Chief Executive Officer of Marninwarntikura Women’s Resource Centre in Fitzroy Crossing. Coming from a stolen generation background, Emily sought to understand the grief associated with the loss of cultural heritage and the removal from ancestral homelands, which many people continually contend with across the Kimberley. Emily is committed to ensuring all approaches in work are designed from an evidence base which values local knowledges and lived expertise. She uses the resiliencies and strengths of the region to ignite positive social change.